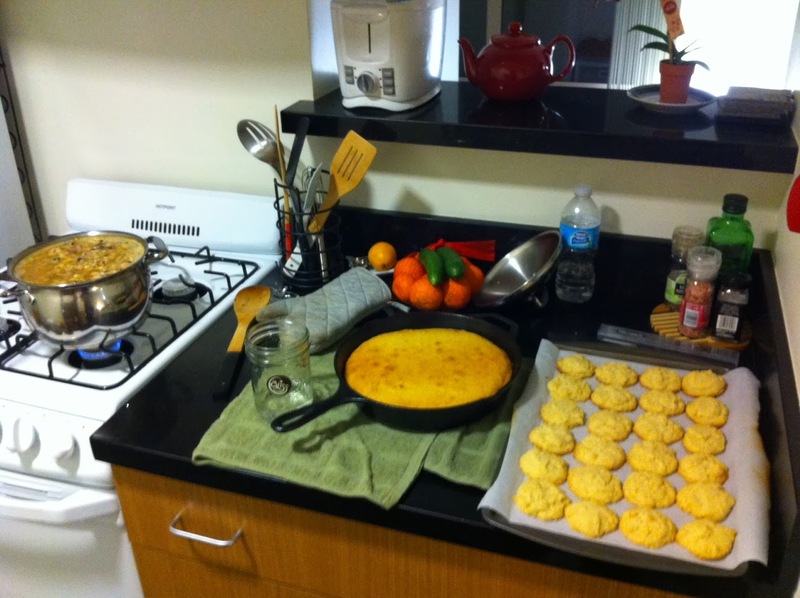 My cook-fest this past Saturday centered around chili - the first chili I've ever made, in fact - accompanied by cornbread (with caramelized onions in the bottom of the pan). The chili is the "Tuxedo Chili" from Food52, which I chose because it seemed relatively simple. Instead of ground chicken I used lean ground turkey, and as usual, given that my biggest pot is quite small for a soup pot or stockpot, I haphazardly adjusted the ratios. Finally, since I don't have a blender, one can of the Great Northern beans was mashed into water with a combination of hand and spoon. This chili must be quite forgiving, though, since the result was still very tasty. A friend came over for dinner and gave it her approval. Even with my smallish pot, I still got 6-7 servings out of the recipe! 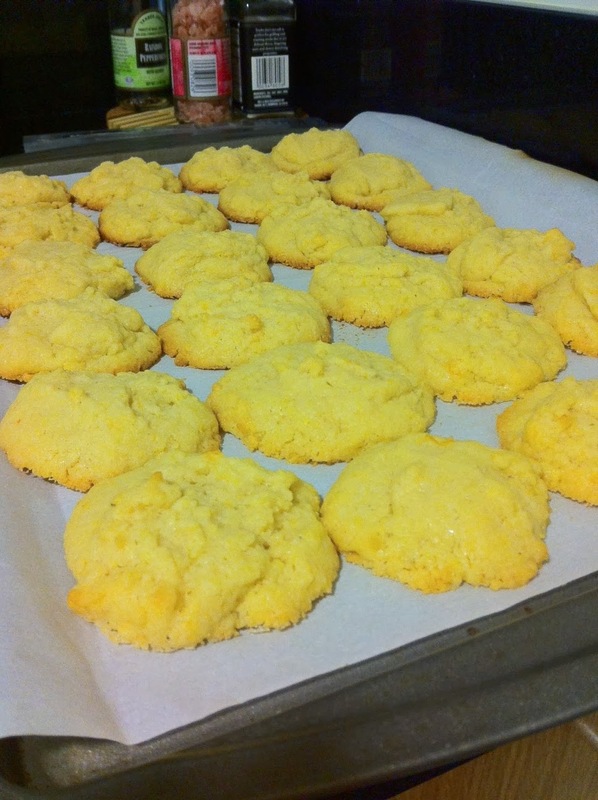 For dessert, lemon polenta cookies. I went ahead and added salt to the dry ingredients before remembering that I had used salted butter. Even with the extra salt, though, the cookies were pretty great, probably thanks to lemon juice's acidity and the extra lemon zest I threw in. 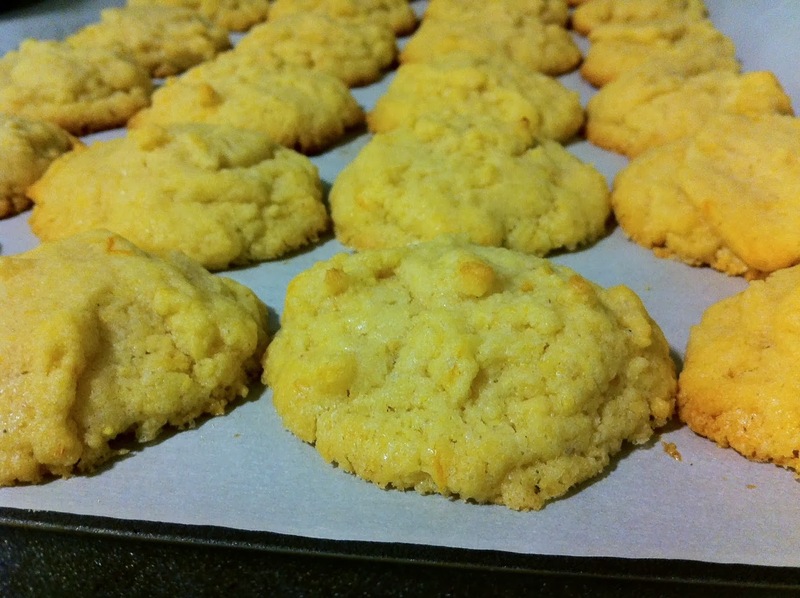 These cookies are are a little bit crumbly, fragrant and rich from the butter and lemon, and pleasantly gritty with the cornmeal. 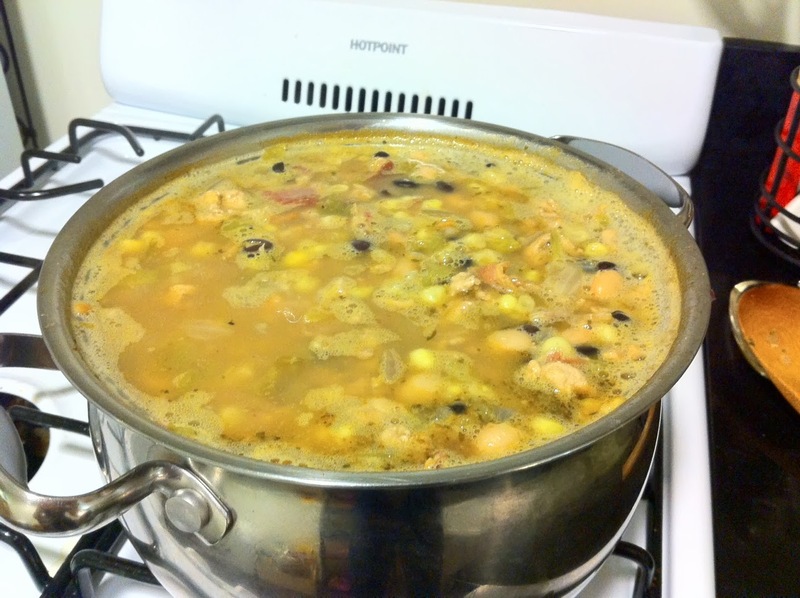 A bonus: they become even more flavorful, with improved texture, after a day or two. I'll definitely be making these again; next time, I might even double the recipe and freeze half the dough. Huzzah!